In the face of huge societal challenges, how can digital transformation make a positive contribution? Digital transformation is generating a fierce debate among policy-makers, economists and industry leaders about its societal impact. 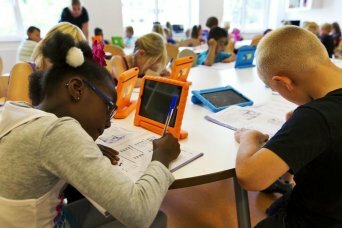 As digitalization disrupts society ever more profoundly, concern is growing about how it is affecting issues such as jobs, wages, inequality, health, resource efficiency and security. To help begin a new, evidence-based debate on the future impact of digital transformation, we have conducted a detailed quantitative analysis of the value at stake from the digitalization of 11 major industries. In each case, we have calculated projections of the potential value of digitalization to the industry itself and emerging sources of value for wider society, as measured by an intentionally narrow set of indicators. Over time, this approach may be broadened and refined. 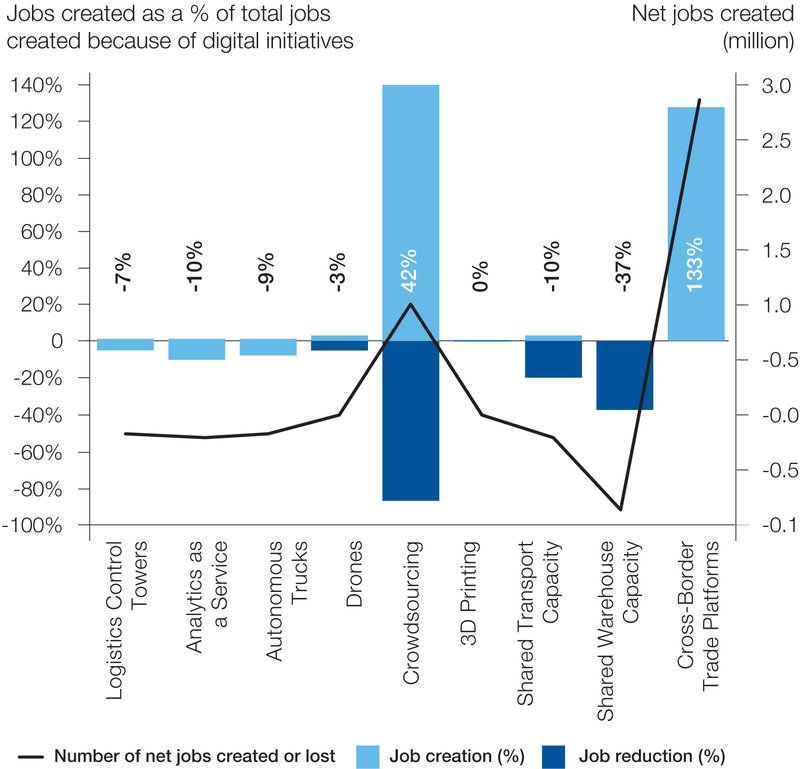 Current estimates of global job losses due to digitalization range from 2 million to 2 billion by 2030. There is great uncertainty, with concerns also about its impact on wages and working conditions. Social media, radio frequency identification (RFID) tags and user-generated websites such as TripAdvisor have been instrumental in increasing transparency and overcoming information asymmetries. However, according to the Edelman Trust Barometer, trust in all technology-based sectors declined in 2015, with concerns over data privacy and security a key factor. Broader ethical questions about the way organizations use digital technology also threaten to erode trust in those institutions. Digitalization could create up to 6 million jobs worldwide between 2016 and 2025 in the logistics and electricity industries. Elsewhere, automation will displace many human beings. With both winners and losers resulting from digital transformation, a huge premium rests on the near-term ability of businesses to upskill employees and shape the next generation of talent for the machine age. 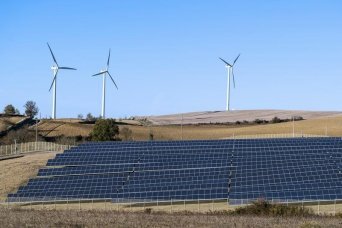 Digital initiatives in the industries we have examined could deliver an estimated 26 billion tonnes of net avoided CO2 emissions from 2016 to 2025. This is almost equivalent to the CO2 emitted by all of Europe across that time period. Ensuring this potential value can be realized and scaled means overcoming hurdles relating to the acceptance of new, circular business models, customer adoption and the environmental impact of digital technology itself. Usage-based insurance (UBI), coupled with assisted driving technologies, could reduce by 2025 the projected annual death toll from road accidents of more than 2 million by 10%. However, it has raised concerns about data privacy, security and the ethical uses of data. Establishing new norms of ethical behaviour with digital technology and reaching higher levels of customer trust will be critical in a successful digital transformation. Today, however, the question of whether technology creates or destroys jobs is gaining momentum. The truth is that we actually know quite little of what is going to happen. What will the economic impact of innovations be in the future? How will humans interact with machines and algorithms? What kind of skills do we need and how should we learn? How will all of this impact labour markets? Those that will disappear (lost the race against the machine). For example, clerks and administrative staff, or truck drivers. Those that are in collaboration with machines / algorithms (run with the machine). For example, those professions that rely on cognitive and social capabilities, such as doctors / surgeons. Those jobs that are completely new or remain largely untouched (running faster than the machine or running a different race). For example, roles in the creative arts are unlikely to be automated, as are new roles that involve managing data and machines. Within that context, our analysis suggests that digital transformation has the potential to create a significant number of jobs. For example, we found that digitalization could create nearly 6 million jobs in just the electricity and logistics industries by 2025. But clearly there will be both winners and losers – as the graphic below shows, while the net impact on jobs in the logistics industry could be positive, many sectors will experience job losses. For governments, the challenge is equally pressing. The potential inequality and wage deflation or even social unrest requires urgent action to prepare the workforce for a digital future. Since November 2015, Singaporeans have had access to the SkillsFuture Credit course directory to explore the range of skills-based courses, which will be eligible for SkillsFuture Credit.⁴ The directory, part of the SkillsFuture Credit portal built by Accenture and launched on 1 January 2016, was released early to generate interest and enable eligible Singaporeans 25 years old and above to plan their learning schedule. The courses on offer are funded and/or delivered by a range of key stakeholders including the Singapore Workforce Development Agency, institutions financed by the Ministry of Education, the Infocomm Development Authority’s Silver Infocomm Junctions and other public agencies and prominent online course providers such as Coursera. The impact of digitalization on employment is likely to be significant, but the implications of digital transformation extend far beyond the labour market. 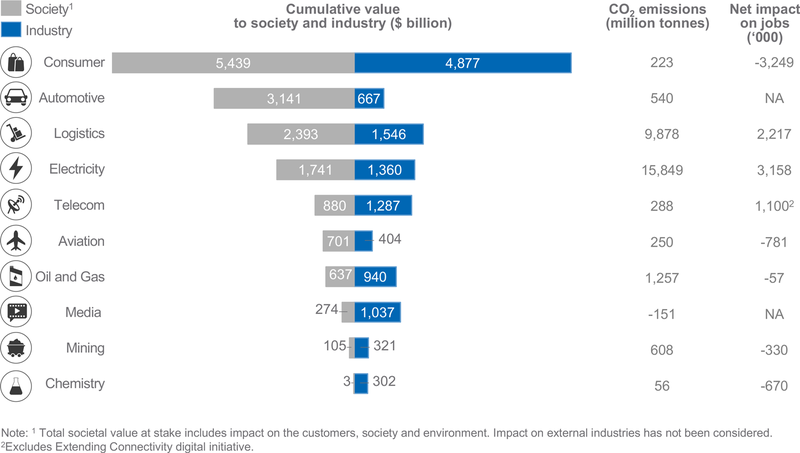 The ‘combined value’ to industry and wider society of digital initiatives across ten industries (cumulative, 2016-2025). Of course, the potential value of digital initiatives to society and industry will not automatically be realized. A number of questions need to be addressed by both business leaders and policy-makers if they are to maximize the combined value of digital initiatives for both industry and society. Are you aware of the value multiplier for society from your digital initiatives? Are you able to measure and track the socio-economic impact of your future digital initiatives? How can you incubate digital initiatives that could in future deliver a high value to society and your business? Is your corporate affairs / social responsibility function suitably aligned with your corporate strategy team? To what extent do you understand how industry-led digital initiatives could help you achieve specific policy objectives and targets? What policy tools could you use to incentivize industry towards digital initiatives that deliver value to society? Are you taking sufficient steps to digitize your own organizations? Do you have the right digital skills and talent in place? How can you learn and exchange lessons from the experience of private sector organizations? 1 GeSI, #SMARTer2030: ICT Solutions for 21st Century Challenges, 2015. 2 Accenture, Waste to Wealth, Palgrave Macmillan, 2015.